Every year on Christmas and Easter, it's the same thing. The family gets together, we're making Lamb, either a roast or kabobs, Tsoureki and Baklava. It's something we all look forward to and have done all my life! I'm also Irish and do the Corned Beef and Cabbage every St. Paddy's Day but for now we'll focus on the Greek side of things. 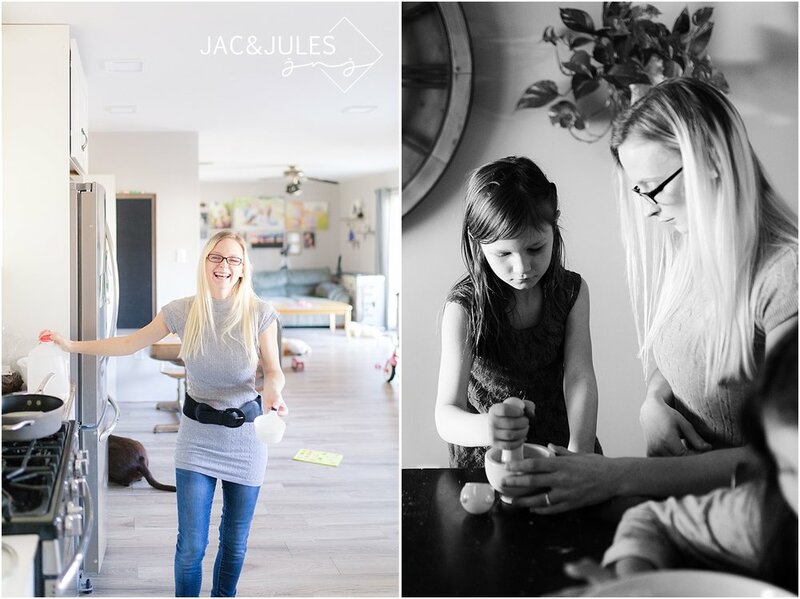 I asked Jacqui if she could carve out some time to document these family traditions for us during Christmastime with my sisters and nieces. I've always wanted documentary photos, not only so I am in some, but having portraits just isn't the same. We're not faking it. 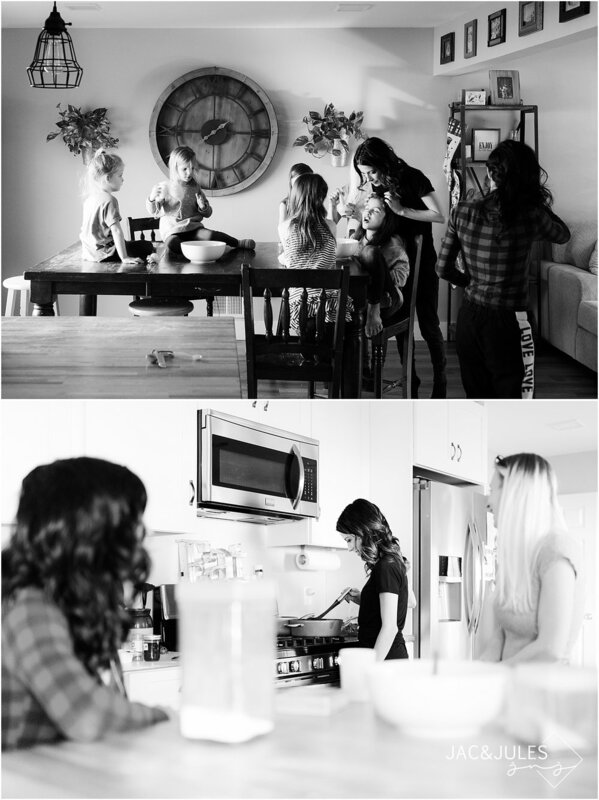 I'm in my everyday clothes (which happens to be sweats and a t-shirt), the kids are sitting on tables and counters, we're mixing dough on the floor, my kitchen isn't finished (still being remodeled), nothing about this is perfected..yet somehow it's still perfect! Next up was Baklava and OMG is it the BEST! There's no recipe for this except for what's in our heads and let me tell you, no matter how many times I buy it already baked at the Greek Fest or otherwise, it's NEVER as good as this. This never lasts longer than a day in our house. I mean, we're eating off the baking sheet faster than we can get a plate let alone let them cool. Savages! What kind of traditions do you have? I would love to hear about them in the comments below! INTERESTED IN BOOKING A SESSION OR TALKING ABOUT YOUR WEDDING? WE SHOOT ON LOCATION PRIMARILY USING NATURAL LIGHT AND THE RESOURCES AROUND US AND WE TRAVEL ALL OVER! WE PHOTOGRAPH PRETTY MUCH EVERYTHING FROM FAMILY, MATERNITY AND BABIES, TO ENGAGEMENTS AND WEDDINGS. WANT TO LEARN MORE ABOUT DOCUMENTARY SESSIONS? WE'D LOVE TO HEAR FROM YOU! Sign up with your email address to receive news and updates, mostly pertaining to our mini sessions.